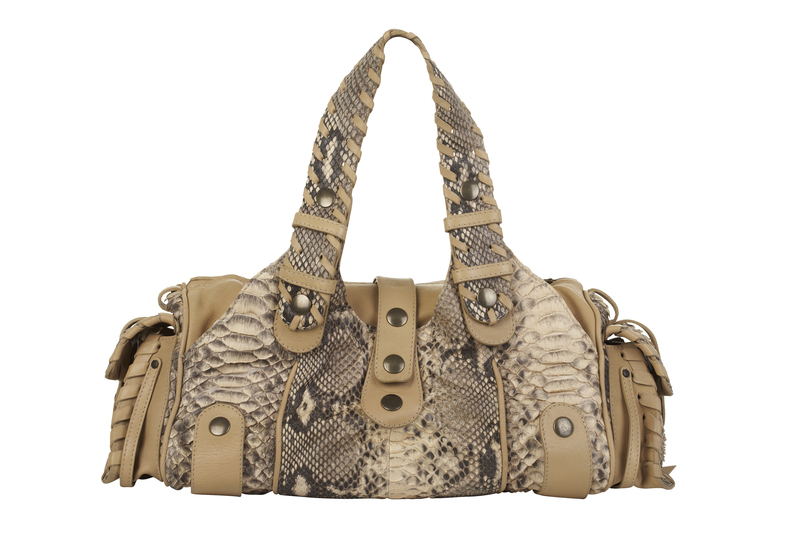 Chloe light beige leather and snakeskin bag. 2 external end pockets with flap and stud button closure. 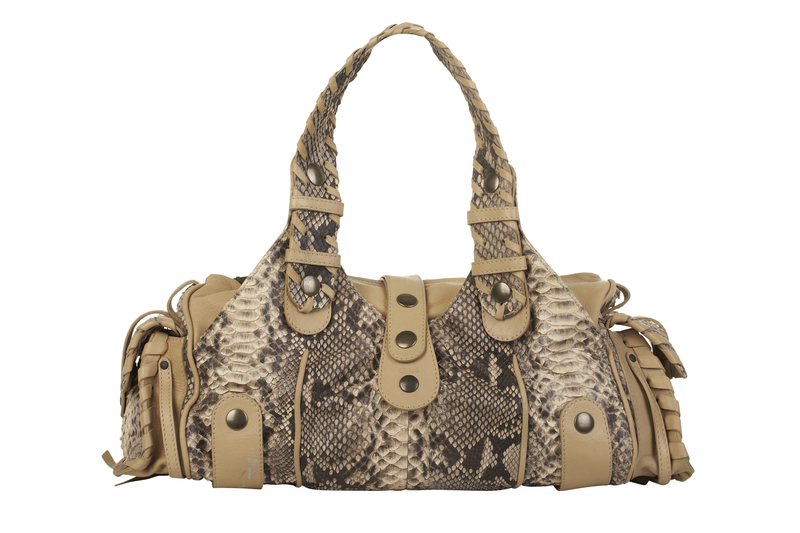 Studded flap and top zip closure. One interior pouch. One interior side pocket with zip. 2 studded straps around bottom of bag.